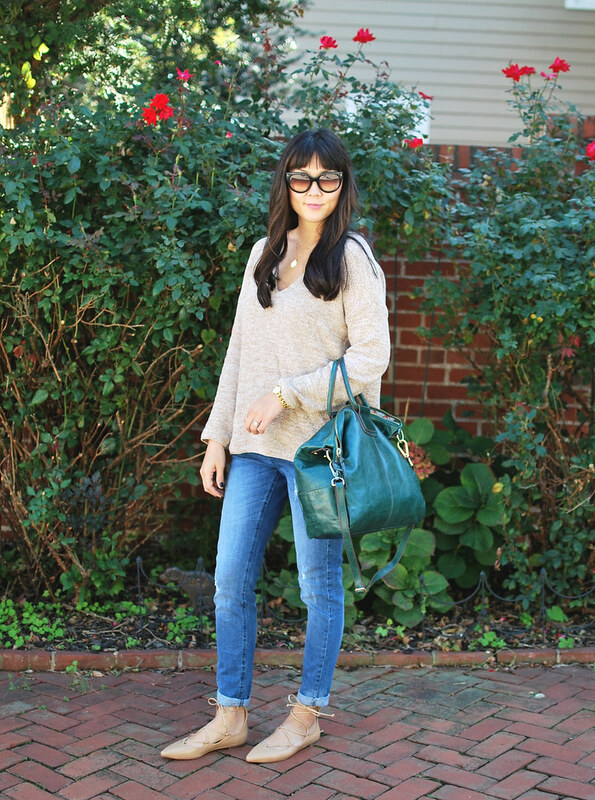 One of my go-to outfits lately has been this perfectly loose yet flattering sweater from H&M paired with some skinny jeans. I picked it up from a random shopping outing a few weeks back and had no idea how much of a staple sweater it would become in my closet. And at $20, it kind of makes me think I should stock up and buy another one! 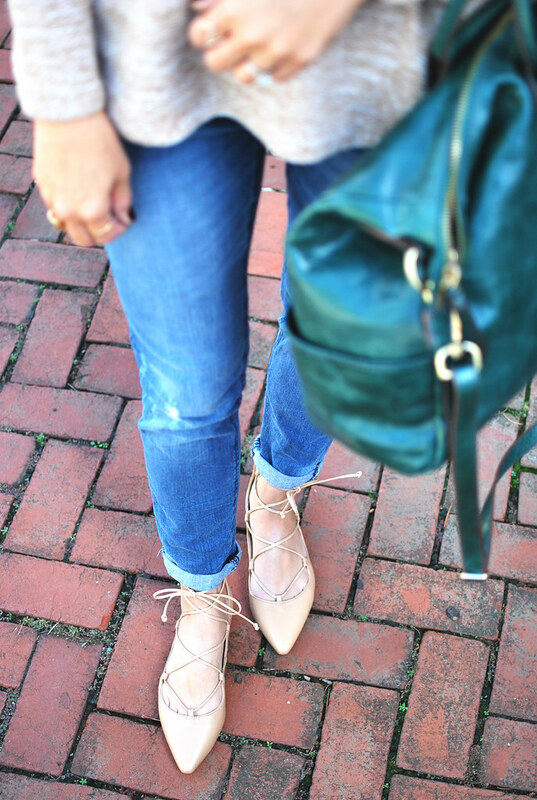 My neutral Zara lace-ups (similar) have quickly become a go-to with any outfit and they went perfectly with this casual Fall look. 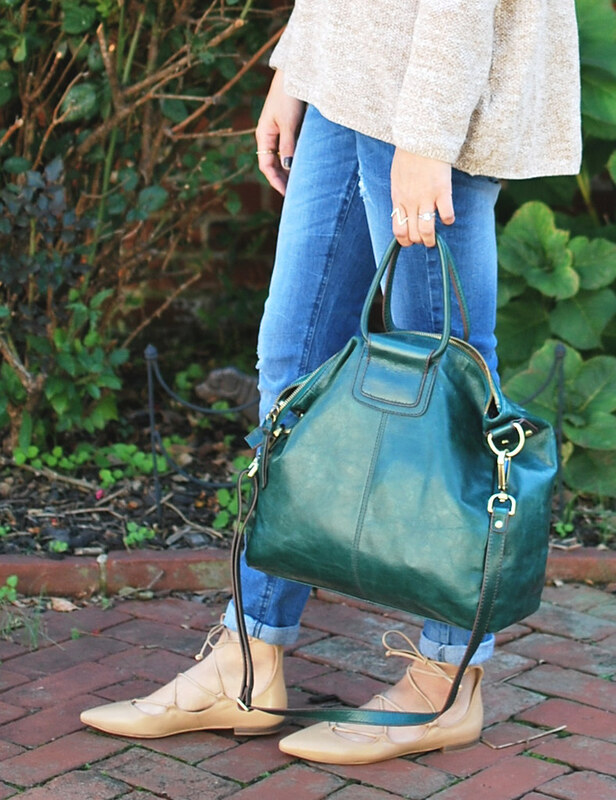 And for a little pop of color, my HOBO Vintage Sheila Bag adds that hit of jewel tones needed to give it a Fall vibe, plus it's roomy enough that I can use it as a diaper bag of sorts. 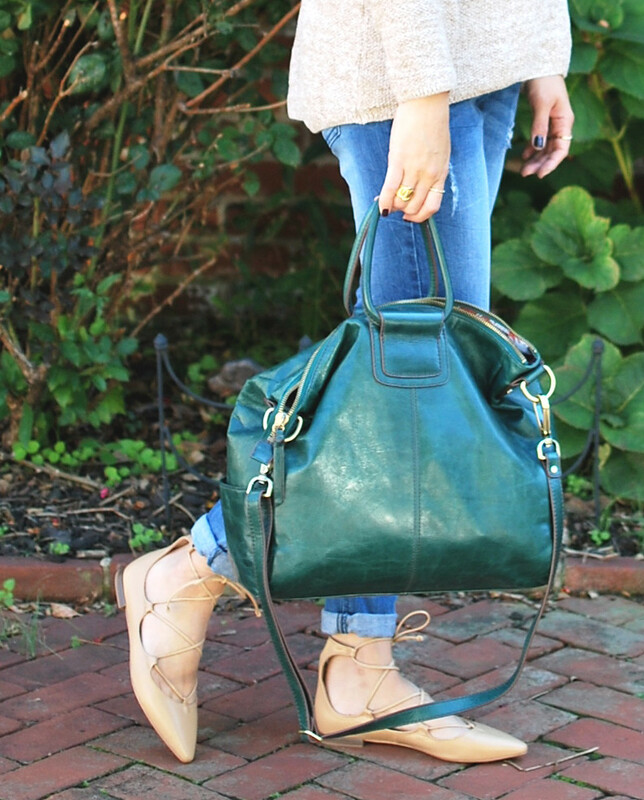 Is the Hobo Shelia bag featured the Hunter Green color? I love it in your photos, but the leather looks much darker when I see it on other sites. I want to order it, but curious to know exactly which green that is?